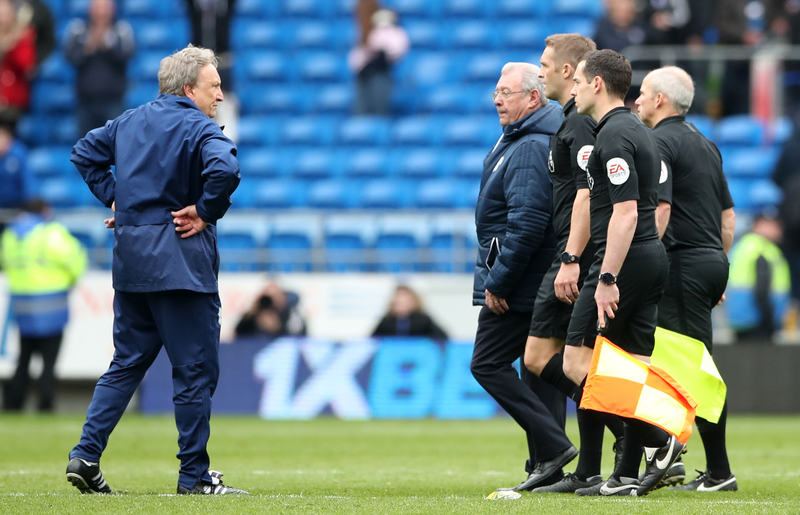 Warnock had branded Premier League officials the "worst in the world" on Sunday after Chelsea controversially beat the Bluebirds from 1-0 down. Clearly dissatisfied, the 70-year-old told Sky Sports he would "probably play the (under) 23s on Wednesday at Man City and then get ready for Burnley," and it appears local authorities have taken those comments at face value. "Manchester City v Cardiff U23s – Wed 3 Apr 19:45 – Delays Expected," the sign read. The photo was taken on the A6 in Stockport by Mike Whalley, who told the Press Association: "At first, I thought it was a mistake, as I'd been working all day and hadn't seen the Warnock quotes. "Then I saw the story. I thought it was a nice touch, and I hope Neil Warnock sees the funny side too. Whether Jurgen Klopp will is another matter!" Transport for Greater Manchester has yet to respond to the Press Association's request for comment.